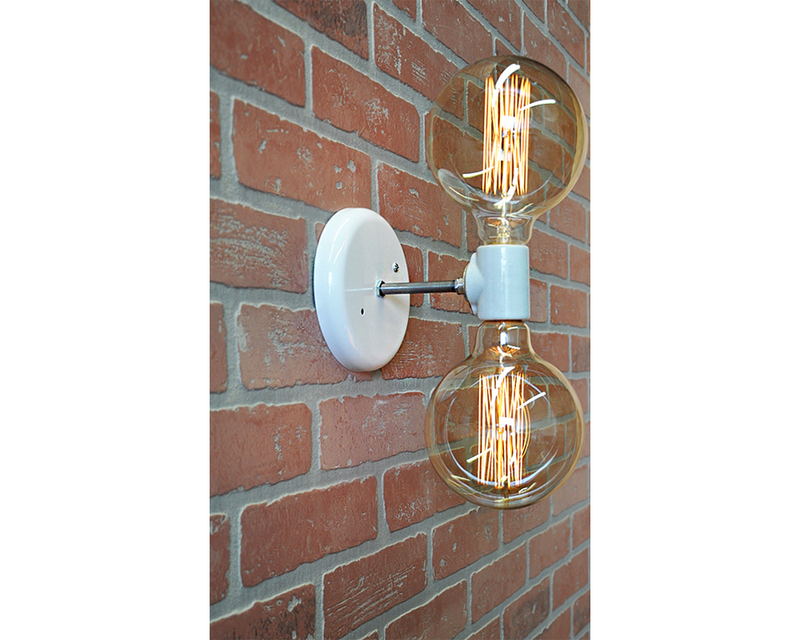 Accent your wall with this industrial style two-light sconce, it features a round metal canopy with an extended steel rod connected to a double-light porcelain socket in white. The amber glass Edison bulbs add just the right amount of light. All of the bulbs are dimmable and included as shown.